Nine years ago, an injured and dispirited Geoffrey Mutai made the heartbreaking decision to quit running. Today he is on top of the world as the fastest marathoner of all time—and his incredible story of the intervening years is proving an inspiration to runners everywhere. 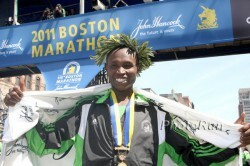 The Kenyan athlete won this year’s Boston Marathon in April with a stunning time of two hours, three minutes and two seconds. Although his performance is not recognized as an official world record because of the unique set-up of the Boston course, his time still was 36 seconds faster than the official record of 2:03:38 recorded by fellow countryman Patrick Makau in Berlin this autumn. Geoffrey, 30, comes from the Koibatek region of Kenya, which lies between Eldoret and Nairobi in the Great Rift Valley province. He is the oldest of nine children and is thus far the only sibling to succeed in athletics. Yet “running is in my blood,” he says. Back in 1992, according to The Nation newspaper, nine-year-old Geoffrey paid an entrance fee of about 65 cents to watch the Barcelona Olympic Games with neighborhood friends on a black and white television set. He began competitive running in primary school at the age of 12. “I used to train daily and in a short period of time, I could not do without running every day,” he recalls. He was unable to go on to secondary school because his family couldn’t afford to send him. “When I finished primary school, my father had lost his job at Rivatex (a textile company in Eldoret) when it closed down,” Geoffrey remembers. With no other options for income, Geoffrey turned to running. When he was 18, he moved up to the 3,000-meter steeplechase event—but after he had qualified for the 2002 World Junior Championships, the Kenyan Federation withdrew his nomination because he lacked a birth certificate. A few months later, Geoffrey injured his Achilles tendon. “I decided to stop running completely and went to look for a job,” he recalls. At 21, it seemed he had reached the end of his promising running career. At that point in his life, he settled for a profession cutting down trees for electricity companies. But his talent was not to be denied. “I missed running, so I ran every morning before going to work,” the marathoner remembers. And ironically, it was yet another setback that got him back on track: he lost his job at the age of 23 and suddenly had the time to begin training seriously again. What Geoffrey needed now was some good luck. He began to find it after joining an athletic club in Eldoret—where he remains a member to this day—and then finishing sixth in the 2006 Kilimanjaro Half Marathon in Tanzania. The turning point of his career was when Dutch manager Gerard van de Veen noticed him at the 2007 Eldoret Marathon. Van de Veen watched him finish second there—and offered to find races for Geoffrey in Europe. It was a once-in-a-lifetime opportunity that he grasped gratefully. In March of 2008, Geoffrey went on to win the Monte Carlo Marathon, clocking 2:12:40. That same year, he improved his personal best by almost five minutes, winning the Eindhoven Marathon in October with a new course record of 2:07:50. A year later, he returned to Eindhoven and won yet again, improving his best time to 2:07:01. Geoffrey first drew international attention with a 59:43 victory over a strong field at the Ras Al Khaimah Half Marathon in the United Arab Emirates. Then, in the spring of 2010, he went on to surprise the marathon world by running 2:04:55 in Rotterdam. 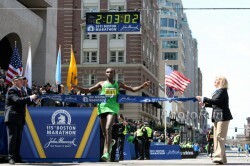 In that race, the talented marathoner finished second—seven seconds behind fellow Kenyan Patrick Makau. When they dueled again in the pouring rain at the Berlin Marathon that same year, the margin between the two was even closer, but Patrick Makau prevailed again, running 2:05:08. Geoffrey came in two seconds later. 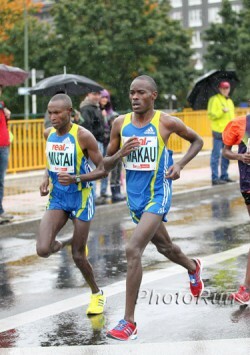 The two Kenyan athletes were the dominant marathon runners of 2010. In the world-best lists for the year following the races in Rotterdam and Berlin, they had four of the top five marks (Patrick Makau first and fourth; and Geoffrey Mutai second and fifth). However, just because he doesn’t have a coach does not mean Geoffrey trains alone. 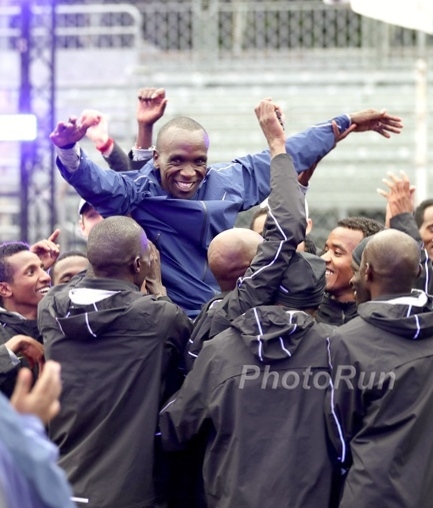 Instead, he is a permanent member of a group of other world-class runners, including William Kipsang, the ABN AMRO Rotterdam Marathon winner in 2008; Robert Kiprono Cheruiyot, winner in Frankfurt 2008 and Boston 2010; and David Barmasai, who won Dubai in 2011. Geoffrey’s training camp in Kapngetuny, approximately 50 kilometers from Eldoret, is close to Robert Kiprono Cheruiyot’s and David Barmasai’s camps. 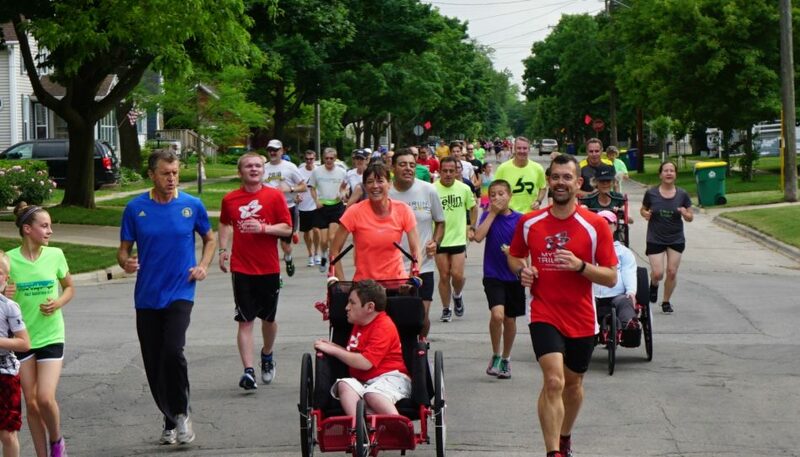 When the outstanding athlete is training for a marathon with his compatriots, he is logging incredible mileage. Manager Gerard van de Veen says Geoffrey runs up to 240 kilometers (149 miles) a week. Though primarily a marathoner, Geoffrey also has achieved first-class performances in cross country and in the 10,000m on the track. Last year, he finished second in the Kenyan Championships 10,000m race. He ran an impressive 27:27.59 at altitude—approximately 1,700m above sea level in Nairobi, which is definitely a significant factor in affecting performance. A few weeks later at the African Championships, he placed third. After improving his half-marathon PR to 59:38 with a victory at the New Delhi Half Marathon in November 2010, he ran an outstanding cross-country season last winter, winning the national championships and finishing fifth at the World Cross-Country Championships at Punta Umbria, Spain. The cross-country training seems to have helped get him into shape to tackle Boston’s tough hills. 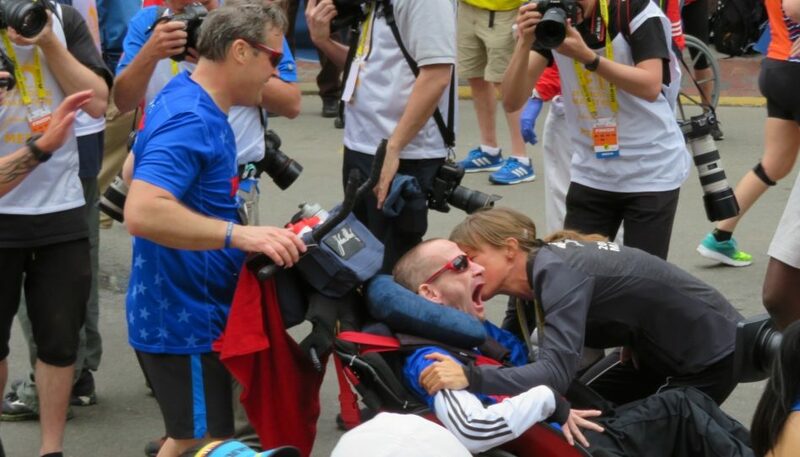 Geoffrey’s amazing feat in Boston is not recognized as a world record for a number of reasons. 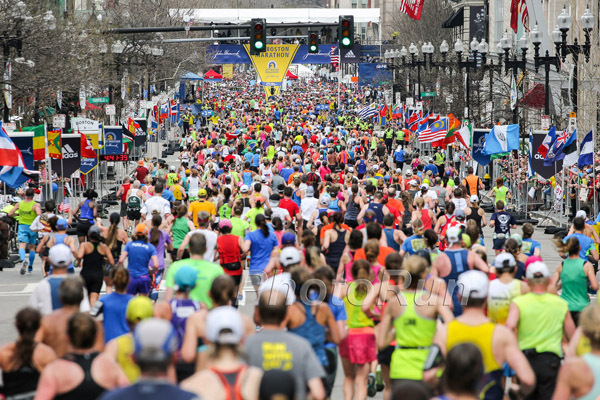 Boston is a point-to-point course; it exceeds the International Association of Athletics Federation’s (IAAF) maximum-allowed elevation drop; and this year there was also a significant tailwind that aided the runners. 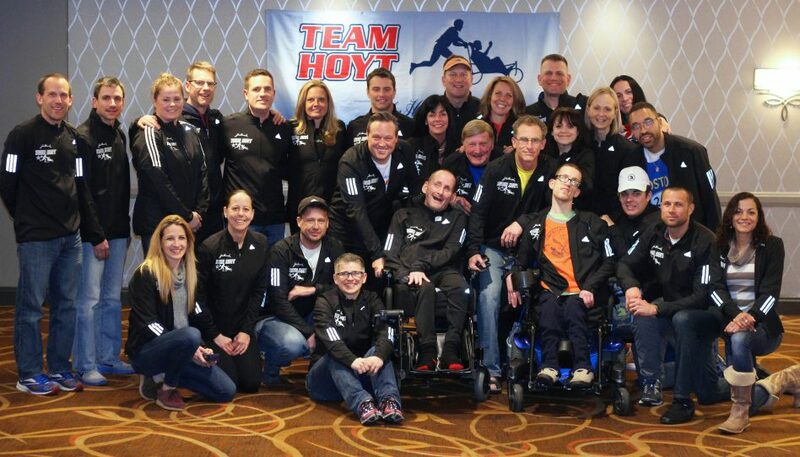 Nonetheless, due to its challenging late-race hills, the Boston Marathon is far from easy. If Geoffrey Mutai can run 2:03:02 there, he might be capable of that same or even a better mark on a fast and flat course like the BMW Berlin Marathon. It may only be a matter of time before Geoffrey, or another capable runner, improves upon Patrick Makau’s record.